Heart disease is still the leading cause of death for both men and women in the U.S., and every year, 1 in 4 people die from heart-related conditions. With so much conflicting health information these days, it’s hard to know what to believe when it comes to your heart. Here are some common questions I get from my patients. What type of diet is healthiest? I believe that nutrition is the single most important factor in reducing your heart disease risk. Stick to foods that are low in cholesterol, saturated fat and high in fiber. 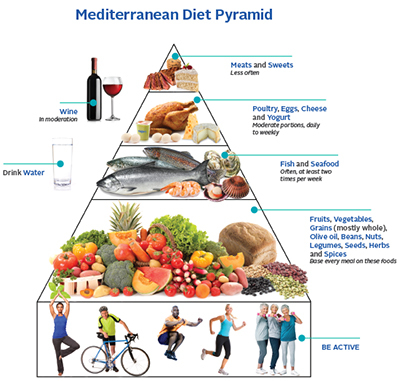 I am a big proponent of the Mediterranean Diet, which is full of “superfoods,” like berries, broccoli and almonds, all of which are high in heart-healthy nutrients. Most of your food should come from fruits, vegetables and complex carbohydrates like quinoa (pronounced “keen-wa”), brown rice and whole oats. For protein, fish and seafood are best, followed by poultry, eggs and cheese. Maintaining this type of diet decreases your cholesterol and blood pressure and also helps you drop extra weight – all important factors for a healthy heart. And fresh foods actually taste better, so you’re more satisfied and less likely to add unnecessary salt and sugar. Are vitamins and supplements a good idea? Unless you have a vitamin deficiency, you should get your vitamins from whole, fresh foods rather than supplements. These foods contain micronutrients your body needs, along with fiber and antioxidants. Coconut oil is about 80 percent saturated fat, which increases your cholesterol, so I recommend you don’t ingest it. Instead, eat mono-unsaturated fats like avocados, nuts, seeds and olive oil. They all have cardio-protective properties, meaning they protect your heart from disease. Is it true that red wine is good for your heart? I would never recommend that someone start drinking to improve heart health because too much wine -- more than one glass per day -- can actually weaken your heart over time. For those who drink, moderate amounts of red wine can be beneficial. It can increase your HDL, or “good” cholesterol, and contains antioxidants, which can reduce inflammation in your body. Red wine also contains resveratrol, which is theorized to have cardio-protective properties. For non-drinkers, keep in mind that the same you can get the same benefits from red grapes. I’ve heard the term “inflammation” related to heart disease lately. What is it? Inflammation is at the root of almost every chronic disease, including heart disease. It’s your body’s reaction to an infection or injury, and can also be caused by stress. Your diet can help reduce inflammation greatly. The biggest culprits are simple carbs and sugar, so sticking to the Mediterranean Diet is a good way to reduce inflammation. I tell my patients to avoid any food that comes in a box or bag, because they usually contain high amounts of sodium and artificial ingredients, which can lead to inflammation. It’s best to “shop the perimeter” when you’re at the grocery store where you’ll find fresh, rather than processed foods. Is it a good idea to take an aspirin a day? The decision to take aspirin should be one you make with advice from your doctor. Aspirin is well established in helping prevent a second heart attack or stroke. However, recent studies suggest that aspirin does not prevent a primary heart condition. It has also been suggested that aspirin can lower your risk of colon cancer. Again, be sure to check with your physician before you decide whether taking aspirin daily is right for you. 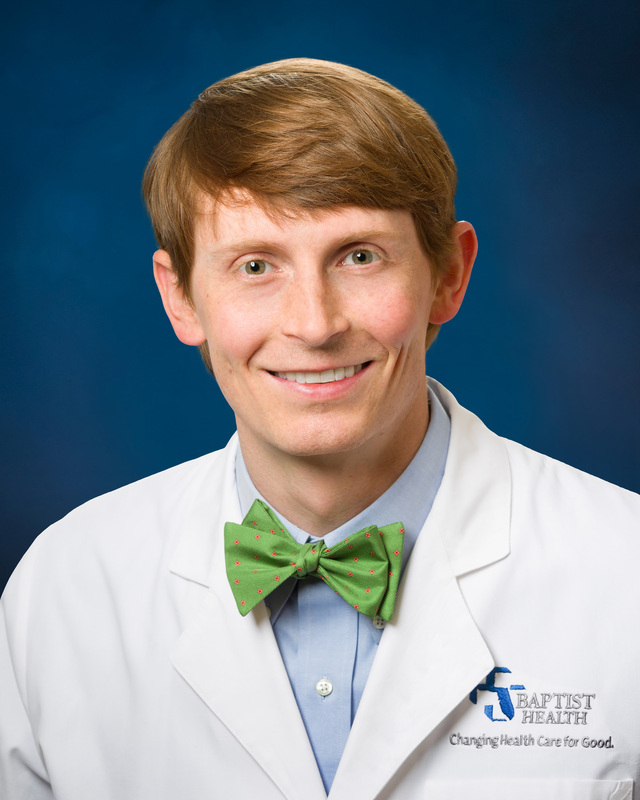 Houston Mooney, MD, is a board-certified clinical cardiologist with Baptist Medical Center Nassau. For more information or to make an appointment, call 904.261.9786.